along with Hope's Bob Sheehan and Matthews Children's foundation representative Curtis Elliot. 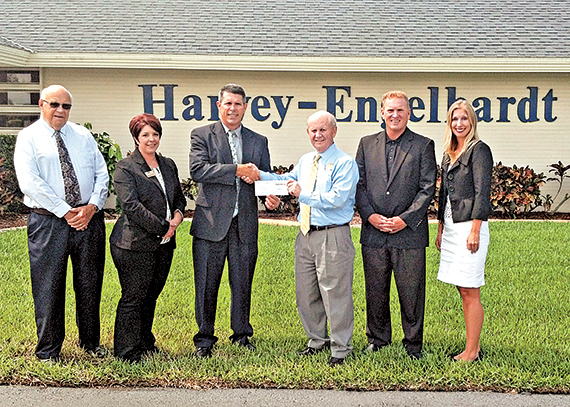 Hope is grateful to the Harvey-Engelhardt Funeral Home in Fort Myers, who applied for and received a $1,000 grant through the Matthews Children’s Foundation to present to the Hope Hospice’s Rainbow Trails Camp Program. Donations help us keep the camp free of charge for all campers. Learn more at www.HopeHCS.org/rainbowtrailscamp.